Complete your living room style with our beautiful Carrington loveseat. 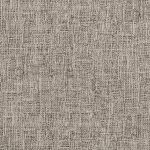 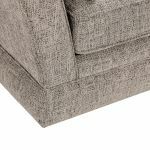 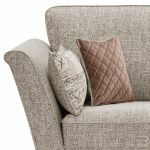 Upholstered in high quality Biscuit fabrics, it comes with complementary scatter cushions, which are reversible with patterned and plain sides, so you can create a look you love in your space. 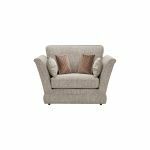 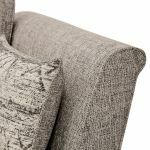 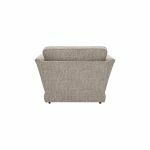 The gently flared arms help to maximise the seating are, and the padded base give the loveseat a sleek silhouette for a classic flair. 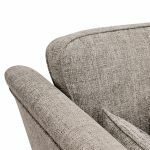 It's finished with our exclusive plump-free seat cushion, which keeps its shape and is easy to maintain for great looking comfort for years to come. 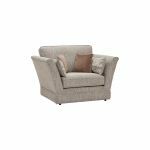 Don't forget to browse our other stylish colours and sizes in the Carrington range, all with free delivery!